Samsung have had as stronger year as anybody in the tech scene, and they’re looking to hit 2014 running. With that in mind the South Korean giants are lining up the release of their new flagship Galaxy S5, which rumours suggest could be launched as early as March. The larger form smartphone has been one of the more surprising successes of 2013. The 5 inch screen was long considered too large, but the overriding popularity of the bigger ‘phablet’ form has been one of the breakout successes of the year for Samsung. One reason is the clear differentiation against Apple devices. Apple have thus far resisted the urge to launch a larger screened offering into their smartphone range, and this is leaving the market widely open for Samsung. So the new S5 will look to capitalise, with a 5 inch super AMOLED screen at 560PPI. The device is rumoured to carry a 16MP camera and an iPhone 5S-esque 64 bit processor. One of the more standout potential features is a wraparound screen, which could effectively expand the devices screen beyond its 5 inch spec. Such a feature has been rumoured for some time, on both Apple and Samsung devices. At the time of writing, it’s not clear whether Samsung will look to release this with the Galaxy S5 or whether they will wait to launch it with a different device later into 2014. We’re hearing that Samsung are planning to commence production of this device in Vietnam in early January, with shipping beginning at the end of Q1. Early indications are that Samsung are taking the lead from their casino online great rivals Apple with this release, as they’re planning a dual launch of two new devices. Where Apple launched their 5S in incremental upgrade this October, they also chose to break their long established mould by releasing a second smartphone at the same time, their new 5C. The experiment has been something of a failure for Apple, with the over-priced 5C selling poorly to date. Samsung have good reason to think that things will be different for them though, not least because the market is used to having more choice around Samsung devices. Samsung also are not fighting to preserve a purely premium market perception, meaning they are less afraid to spread their price points to attack different market segments. In this example, the upper-spec S5 will be constructed from metal verses the plastic cheaper model. The entire process is being fast tracked by Samsung. The much heralded S4 has failed to meet market expectations, garnering mixed reviews and lower than anticipated sales figures. In this light, the faster introduction of its replacement makes sense, especially with the busy end of Q4 season set to leave the S4 even further off the pace. Christmas has always been a popular buying seasons for mobile phones, and as such manufacturers are always quick to release their latest offerings during October and November. 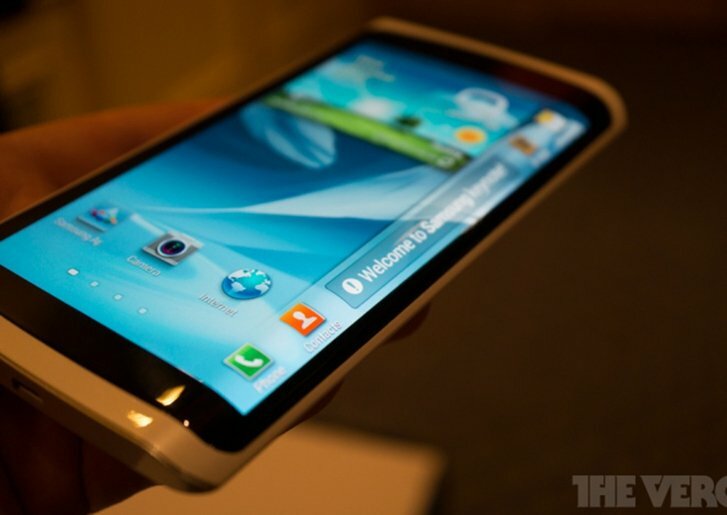 The release of the new S5 is likely to coincide with the Mobile World Congress event in 2014.